Sun Java and the Sun Java browser are not installed by default on Ubuntu 10.04 lucid lynx. Instead, Ubuntu uses the OpenJDK and the Icedtea web browser plugin. Typical users may never notice a difference as OpenJDK works well in most cases. However, you may find that you need the real Sun Java instead of the open substitutes. I will show how to completely remove the OpenJDK packages and how to install the real Sun Java packages. I removed OpenJDK and IcedTea6 packages with the following command. On my server, this removed a total of 8 packages. Before answering “Y” to the following command, look at the full list of packages that it will be removing . It will attempt to remove other packages which have a dependence on Java. If you are uncomfortable with some of them, then you should skip the removal step and move on to the next step and install SUN Java alongside OpenJDK. The final step will allow you to select Sun Java as the default. 0 upgraded, 0 newly installed, 8 to remove and 48 not upgraded. After this operation, 87.5MB disk space will be freed. The Sun Java packages are found in the Canonical partner repository. Add the partner repository to your repository sources. $ sudo add-apt-repository "deb http://archive.canonical.com/ lucid  partner"
If you think that you will need the Java development kit, then add sun-java6-jdk to the list. 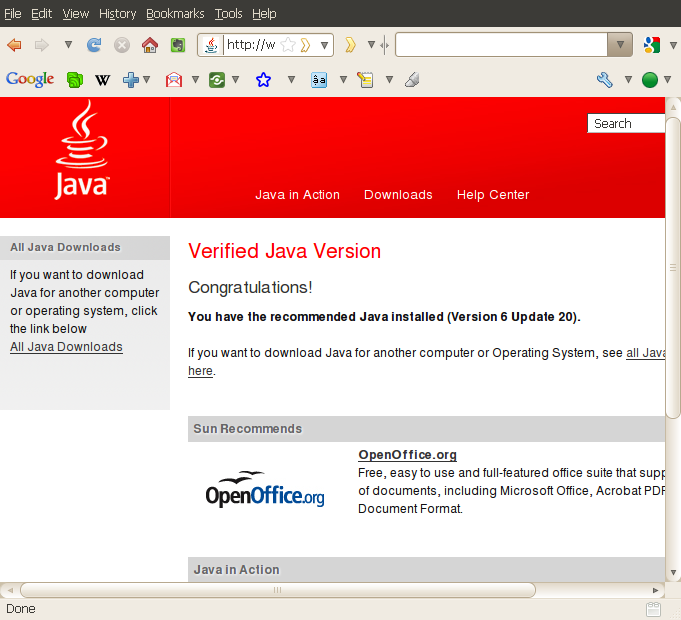 Click on the “Verify Java version” button.